ESPN has re-signed versatile announcer Adam Amin to a multiyear deal. 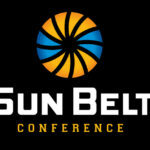 As part of the new agreement, Amin will continue calling marquee college and professional games year-round across a variety of sports on both television and radio. The Chicago native, who began his career with ESPN at 24 years old, is already in his seventh year with the company. Amin’s new contract was finalized in the midst of his first year calling NBA Playoff action, which continues tonight in Houston for game 3 of the NBA Western Conference Semifinals game between the San Antonio Spurs and Rockets on ESPN Radio (9:30 p.m. ET). Three days ago, he was on the radio call for Isaiah Thomas’ electrifying 53-point game as the Celtics, in overtime, defeated the Washington Wizards in the Eastern Conference Semifinals. In addition to other games on radio, earlier this month, Amin called his first NBA Playoff game on television, the Los Angeles Clippers and Utah Jazz first-round game 3. Amin will conclude his first NBA Playoffs by calling the Eastern Conference Finals on ESPN Radio with analyst Jon Barry. This season’s NBA Playoffs assignments add to the high profile events Amin has called for ESPN. 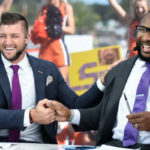 In the past calendar year alone, the affable commentator has called the Women’s College World Series last May/June, was the TV play-by-play voice for ESPN’s college football Friday primetime games and the lead voice for The NFL on ESPN Radio in the fall. 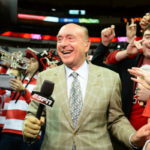 As 2016 ended and 2017 began, Amin worked his first NBA on Christmas Day telecast, the New Mexico and Alamo Bowls, and co-anchored the Homers Telecast as part of ESPN’s Megacast Production for the CFP National Championship game. In March, he was part of Championship Week telecasts and ESPN’s first-ever Tournament Challenge Marathon. Then, in April, he called MLB Opening Day action on ESPN Radio. The numerous marquee events adds to his portfolio which already consisted of five NCAA Wrestling Championships, the 2015 Women’s College World Series, a men’s volleyball championship, multiple years calling the McDonalds All-American game and hundreds of regular season games in a variety of sports spanning the entire sports calendar. 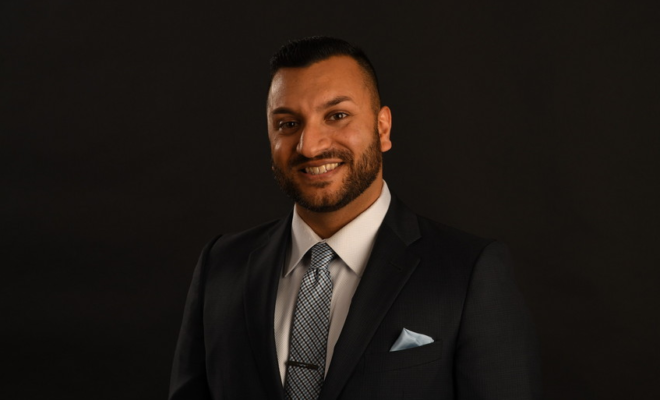 From 2007-11, Amin handled play-by-play, hosting and reporting tasks for Turner Sports Digital/NCAA Productions, FOX Sports Wisconsin, the Illinois High School Association and the Horizon League Network. Additionally, Amin had stops in Gary, Ind., and Somerset, N.J. calling minor league baseball, was a studio host for football and basketball broadcasts at Valparaiso University, and served a stint as Sports Director at KUOO Radio in Spirit Lake, Iowa.